Tom’s dream of going to school has finally come true.. 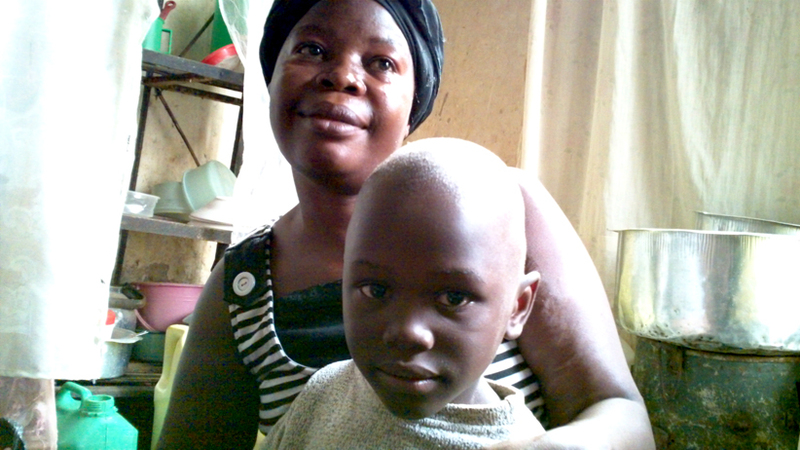 This March we were able to help 26 more children to enroll in primary school because of your support – the money you help us raise though sales, donations and events is transforming the lives of children like Tom in Kampala. This is a film from Tom and Teopista – Tom is now 7 years old and was ecstatic when he found out his dream of enrolling in school would finally come true. Please watch so they can tell you for themselves. Tom’s father abandoned him with his Step mum when he was just over a year old. She did not not care for him properly and he became severely malnourished and seriously ill. When Teopista (his Aunty) heard how he was being treated she went to fetch him, She got him the medical attention he needed and became his permanent guardian. They live together in one tiny room and Teopista ran a small roadside business – she would sell sweets and cakes she would make around 2,000 Ugandan shillings (0.55p) which they used to buy food for that day – until last year when the Ugandan government banned roadside traders and life became even more of a struggle. Luckily, the situation was bought to the attention of the women’s group we work with in Bwaise and now, with your help, Tom has just completed his first term in school – he has a new uniform, shoes, school books and gets at least one meal a day at school. The women in the groups we work with walk the streets of the slums seeking out children and adults in dire need of their help. Their support often means the difference the difference between life and death in areas with little or no social services or protection. Whether it is education grants or skills training that helps guardians earn an income. Every penny we raise through sales and donation goes towards project that are making life better for kids like Tom. The wonderful Kerry Bradshaw and Joey Leech at Magic Lantern are planning their most ambitious film showing to date…..and all to raise money for women and children in Kampala! On the euphoric eve of Saturday 7th of April you are invited to a extra special Magic Lantern and Unit 15 collaboration. The 90’s classic movie Human Traffic will be screened followed by what is being billed as an awe-inspiring clubbing experience brought to you by the world renowned UNIT 15. There are have limited places at this screening – the last 4 Magic Lanterns have sold out so order your ticket now to guarantee a place. Tracksuits, furry boots, glow sticks and smiles are highly encouraged. 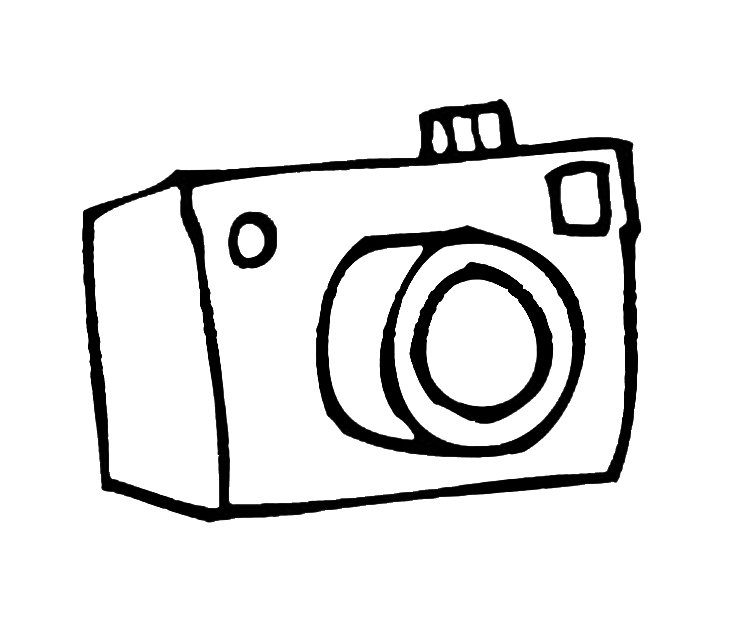 If you’ve upgraded & have any old or unused digital cameras perhaps you would consider donating them to us. Our women’s groups in Kampala really needs them to help keep records of children’s progress, gather evidence to protect them & feedback to funders. We’re also planning a special project with some of the children we are work with – helping them to keep diaries about their lives, friends and families. I’ve managed to gather about six cameras and we are urgently in need of twelve more to make it happen (though more would be a dream!). If you haven’t got one you might have friends that do – please help us by tweeting, facebooking, emailing or (even!) talking to your friends, relatives and contacts to see if they can help. I’m leaving for Uganda on the 11th of February (2012) so this we only have a month to get them together! Please get in touch as soon as possible if you can help. Video: London to Paris – the movie! Our team mate Stefan has just just finished editing this small film of our EPIC London to Paris adventure in August. 13 (lovely) people cycled nearly 180 miles over three days through unseasonal rain and wind, we had twelve punctures (two within 20 minutes!) and raised over £15,000 which will support 20 orphaned children like Sentongo and Nagawa in Kampala, enabling them to complete their primary education. What do you think – fancy joining us on our next challenge in 2012?? Big thanks and love to Team Awamu: Stefan (filming and cycling! ), Kerry, Ian, Tim, Amy, Ben, David, Sam, Joe, Anna, Bernat and Steve (and Emma)….and EVERYONE that sponsored us, came to our events, bought our cakes and took part on our raffles. We’re back safe and sound (bar a few achy knees and shoulders) and what a massive adventure we have had – 13 people, 178+ miles, 12 punctures and (of this very moment) we have raised over £10, 899 (enough to support another 17 children)! I’m still lost for words so here a brief synopisis and a visual treat – 13 sweaty folk peddling to Paris…. Day 1: 56 miles, 6 punctures, the ride of a thousand hills and the pizza of punishment. Day 2: 43 miles, 3 punctures (on the same bike), ferry, ‘wow less hills’, a bit of rain….on reflection the least punishing day. Day 3: 80 miles, more AND MORE hills, sheeting rain and wind, two incidents of fallings off bikes (no one severely injured), 3 punctures, more pizza, cycling through forest (more hills). A massive thank you to everyone that supported and spsonsored us from all the awamu London to Paris team: Kerry Bradshaw, Sam Carrington, Joey Leech, Stefan Goodchild, Amy Huges, David McDade, Ian Wilde, Anna Gurney, Bernat Rueda, Ben McCormick, Tim Shearring and us (Emma and Steve).